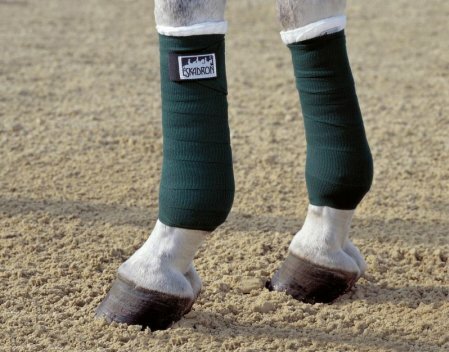 High Elastic and hard wearing horse leg traning bandages. Double velcro fastening. Protects tendons and ligaments. 3 stars Good quality although I thought they wre expensive for a pack of two and was expecting 4 in a pack ! 5 stars Love these bandages used with the Climatex bandage liners! Material: Acryl-polyamide & lycra (80) Highly elastic, hard wearing material.